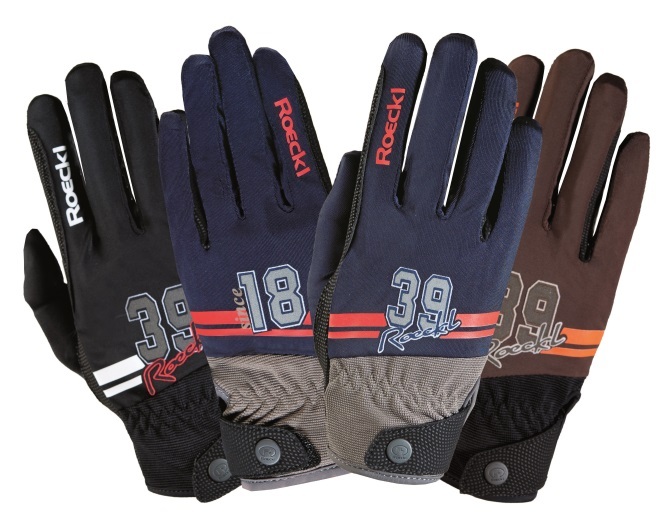 Home » News » FREE ROECKL GLOVES!!! 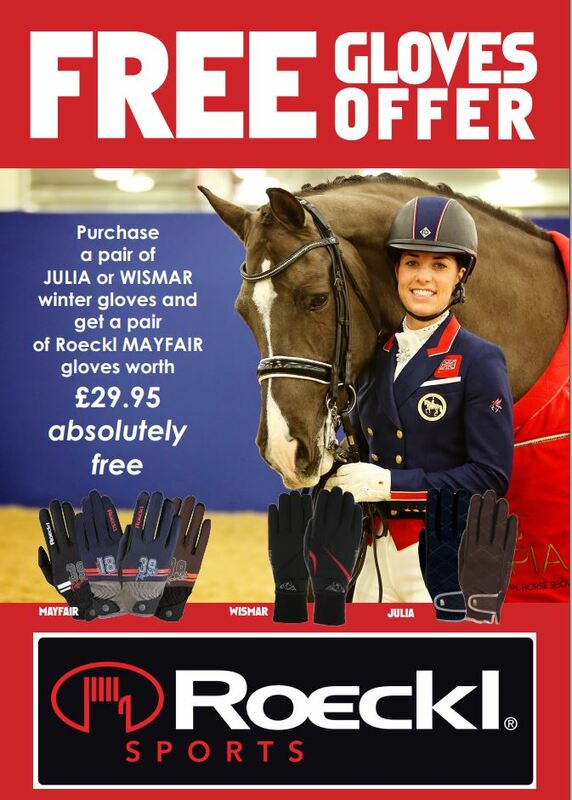 Buy a pair of Julia or Wismar Winter Gloves during October and you can get a pair of Roeckl's Mayfair Gloves, worth £29.95, absolutely free! Click here to see the list of participating shops, or click on the Find a Stockist tab above to find all our stockists. The sporty Mayfair glove is made from a heavyweight lycra with 2-way Spandex for a great fit, and a Digital Suede grippy palm. With Roeckl's special Comfort Cut for less bulk, the Mayfair has an easy velcro closure, comes in Black; Navy; or Mocha, and sizes 6 – 10½. 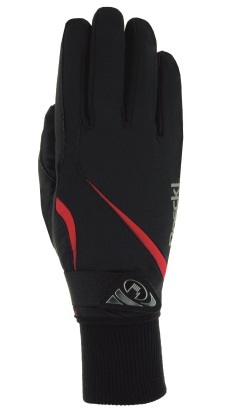 The beautiful Julia Glove gives warmth without bulk and has a Micro Bemberg lining for superb moisture management. It has a lovely diamond pattern on the back; gold or silver trim; and sparkly elements. Sizes 6 – 8½. RRP: £49.95. 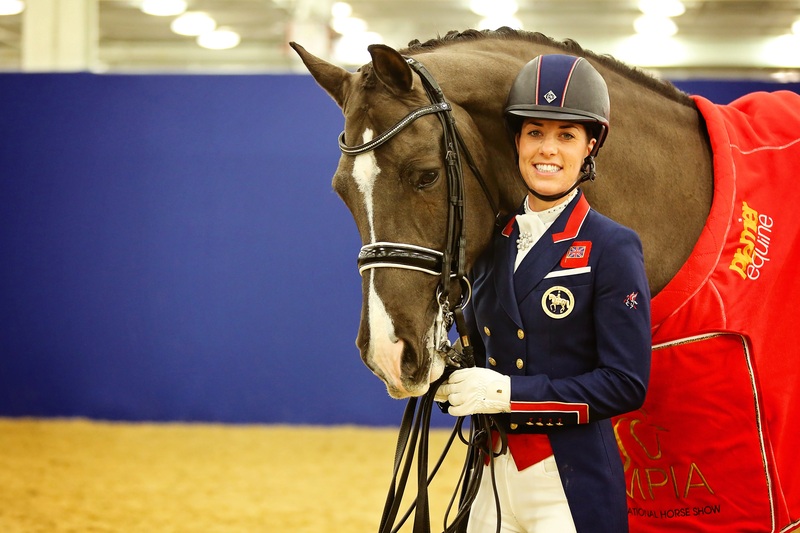 The Wismar is made from Gore Windstopper softshell with a Fleecy inner, giving superb warmth with great tactility on the reins. It has a long, close-fitting cuff and an elastic velcro strap with a reflective design. Sizes 6 - 11. RRP: £59.95. 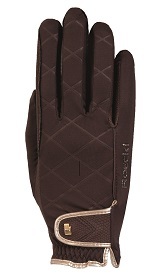 Roeckl: the Gloves of Champions!